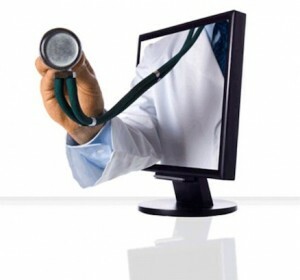 In a world where millions of people are connected to the web through various technologies, it makes sense to take advantage in a meaningful way.Telehealth is a promising industry that connects patients with healthcare professionals via the web, reducing the strain on doctor’s offices and hospitals, helping to treat illnesses during their early stages, and helping to streamline the healthcare process so that more patients can be seen and receive treatment in less time. A new infographic by Orange Healthcare gives a colorful insight into telehealth and its successes over the last year. It includes information on how much telehealth has been implemented around the globe and how many patients benefited from it, as well as projecting future figures – such as how an estimated 1,800,000 patients will receive remote monitoring care in 2017. Other details on the infographic include the notion of more technology being designed to monitor, collect, and communicate health information securely to health providers so they can act immediately. Finally, the improvement of life quality is touched upon, with Orange Healthcare stating that 168 million hospitalization days could be saved, as well as 158,000 years of life, with the implementation of telehealth on a greater scale around the globe. Telehealth is one of Seidenberg’s four initiatives that form a crucial part of our research. Our research into telehealth includes exploring issues related to technology, the law, public policy, and business. Together, faculty and students work to advance the enormous potential telehealth has to change the field of healthcare.